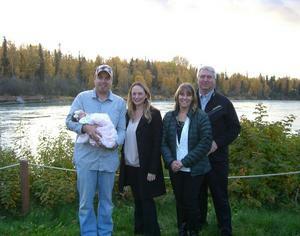 Kenai River Lodge is family-owned and operated right here in Soldotna, Alaska. Since taking over the lodge in 2012, we’ve treated every customer like they were a part of our family. Other lodging may offer similar services, but our services are the best, and it comes with a personal touch. 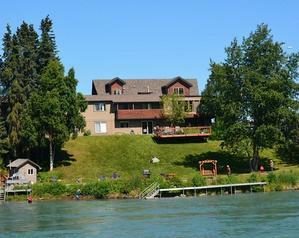 We have over 400ft of bank fishing reserved for guests of the lodge only. By the river we have walkways with stairs to wade down into the river, BBQ grills, a fire pit and firewood, two fish cleaning tables, and a fish hanging station for photos. We also have a freezer room containing two chest freezers that may be used on a first-come, first-serve basis. There are hooks on the outside of each room for hanging waders. Thank you to all of our guests and future guests!